Crane Works Inc. is proud to announce that they have taken delivery of the first production model Terex Crossover 8000. The Crossover 8000 is an 80USt (72,5 t) capacity class boom truck that blends truck crane and boom crane designs to offer a 360-degree load radius that outlifts any other boom truck in North America. Featuring the same upper structure as the field-proven Terex® T780 telescopic truck crane, the Crossover 8000 boom truck offers almost identical load ratings throughout most lift situations, regardless if lifting from the front, rear or sides of the crane. The Crossover 8000 crane boasts the same unique X-pattern outrigger design pioneered in the boom truck market by the successful Terex Crossover 6000 model. This outrigger design allows for enhanced all-around lift capabilities. This feature lowers the overall center of gravity and isolates the crane’s upper structure from the truck chassis, reducing chassis torsion and extending its lifetime. The X-pattern outrigger positioning also eliminates the need for the front stabilizer jack, typically required for boom cranes to counteract the weight of the engine when lifting. This decreases overall crane length and weight. The crane’s three-position outrigger – minimum 6.5-ft (2.0 m), middle 19-ft,9.3 in (5.9m), and maximum 26-ft (7.9m) position span – allows the Crossover 8000 to be used in confined spaces and further enhances crane maneuverability. The upper lift structure has been approved for the Freightliner chassis; other options are under investigation to offer flexibility in crane configuration. With speeds in excess of 70 mph (113 kmh), the Crossover 8000 quickly moves from job to job at highway speeds. Once on site, the crane is designed to deliver quick leveling and set up with its independently controlled outriggers and jib that quickly swings and pins into position. Designed for optimum performance over a broad range of applications, the Crossover 8000’s crane’s four-section main boom offers a 126 ft (38 m) length with a 189 ft (57.6 m) maximum tip height. Two available jib designs – fixed length 33 ft (10 m) and extendable to 57 ft (17 m) – offer 0, 15 and 30 degree offset positions, providing easier reach when lifting over objects. With a rated 80 US t (72.5 t) lift capacity at a 10 ft (3 m) radius, the crane provides the strongest lift capacity of any boom truck available in North America. The Crossover 8000 crane can be equipped with either one or two winches, giving it the flexibility to handle some complex lifts. The crane’s top swivel ball with hook and latch is rated at 7 US t (6.4 t). Alternatively, the available quick-reeving hook block features five sheaves to offer an 80 US t (72.5 t) capacity. 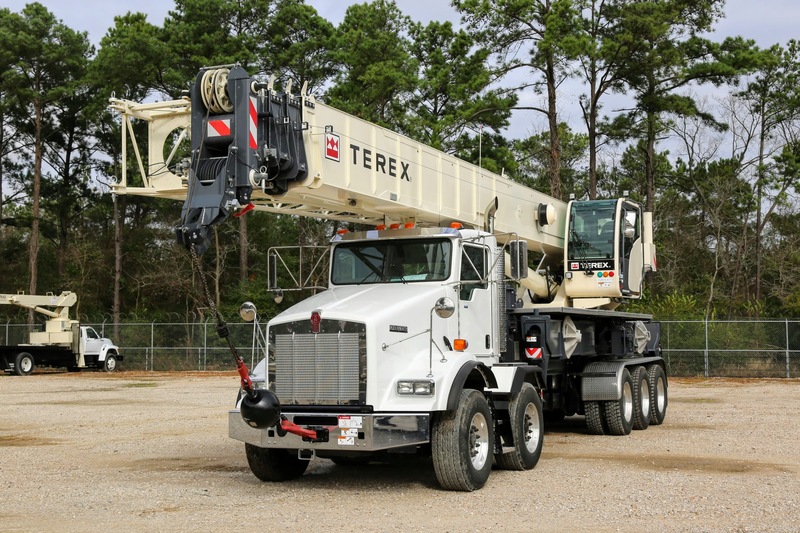 The Terex Crossover 8000 is the first boom truck to feature the latest Terex Cranes operator’s cab, designed to boost productivity and comfort. Built around operator feedback, this functional cab repositions the electronics compartment to offer longer inside dimensions and provide more space for operators. Moreover, an infinitely variable tilt-up operator cab of up to 18° delivers improved vision of the work area. A redesigned air conditioning and heating system with individual air outlets maintain comfortable operating temperatures. An ergonomic, multi-adjustable seat with lumbar support, air-ride suspension, high back and arm rests helps to improve operator comfort and productivity. Crane Works Inc. is a diversified global manufacturer of a broad range of equipment that is focused on delivering reliable, customer-driven solutions for many applications, including the construction, infrastructure, quarrying, mining, shipping, transportation, refining, energy, oil, utility and aerial (wind) industries. With offices in Houston (HQ), Denver, Kansas City and Calgary (Canada) Crane Works has a global reach across all borders.  or call us today at 866-483-9695 to inquire about a quote from CraneWorks. CraneWorks Terex 5800 Explorer is here!